One of the best things about drones would definitely have to be the variety factor. 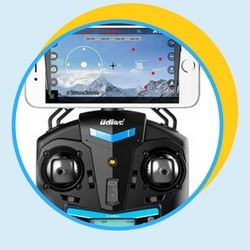 You can choose from camera, toy, and even racing drones. There are a ton of different types to suit everyone’s needs, but what about pricing? It’s no secret that drones can be pretty pricey, with the more professional models costing a couple thousand. Thankfully, however, like the different types, there are multiple price ranges. It typically goes by $1000, $500, $300, and drones under $100. 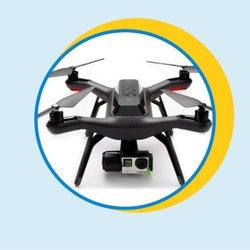 Within this guide, we’ll be taking a look at drones under 300 dollars. If you don’t see your question, or an answer to it, listed in our FAQ section below, get in touch with us and we’ll happily give you one! What’s the difference between a drone and a RC Plane? While drones and RC Planes may generally seem like the same things, but with different designs, they are actually quite different. 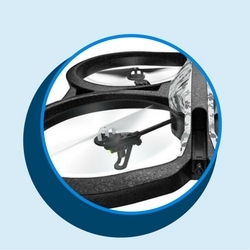 Drones come in two different categories, being either military-grade or residential unmanned aircraft (UAVs). Overall, however, drones are made to be versatile and to have beneficial features, such as FPV capabilities, for example. They are designed to have very specific, particular uses that are able to perform functions that are unique compared to a RC Plane. Their primary purpose is to be real aircraft without needing a pilot. Speaking of which, RC Planes differ from drones because they are considered more of a hobby than anything. You can build both drones and RC Planes, but the latter are more relevant in this case. The biggest difference between drones and RC Planes are the laws and regulations set by the Federal Aviation Administration. For example, the FAA states that safety guidelines must be followed, a registration number must be listed on the drone, and that it must be registered with them if it exceeds 0.55 pounds and less than a total of 55 pounds. RC Planes, however, don’t have these kinds of restrictions and regulations. You are able to fly a drone virtually anywhere you want. Inside your home, in your backyard, a large, open field, you name it. That’s the beauty of drones – if you have the skill, you can pretty much fly it anywhere your heart desires. However, there are some restrictions set by the FAA when it comes to flying a drone, which you can read more on below. Where am I not allowed to fly a drone? If you are just flying your drone for fun, as a general hobby, or whatever the case may be, you’re in luck. While the FAA has very strict rules and regulations regarding flying drones when compared to industrial purposes, you will still have to follow the rules. If you don’t you could face a very hefty fine or, depending on the circumstances, even jail time. In the United States, you cannot fly your drone within 5 miles from any airport. This causes problems with air traffic control and can cause some serious accidents. You must always have a visual line-of-sight when flying at all times and yield to manned aircraft, which are your standard commercial airplanes. Flying near the White House is also a very serious no-no. During 2015, after an incident where a man was detained and fined for flying a drone over the White House to take pictures, the FAA made some strict changes. Today, those who violate this regulation face a fine up to $25,000 and even jail time. Overall, the law states that you cannot fly within 15 miles of the White House. You cannot fly your drone more than 400 feet in the air. This clashes with the airspace that is used by manned aircraft and will bring on a very hefty fine if you are caught doing so. You also cannot fly your drone during the night, or if vision will be a problem in general, which relates to keeping a perfect line-of-sight on your drone at all times. Flying a drone into your neighbor’s backyard, or on any piece of property that is not owned by you, is also a big “no can do”. Though there are a lot of rules, laws, and regulations surrounding drones these days, they are set for the safety of everyone. It’s also unfortunate that a few of these rules and regulations were set because one person ruined something for everyone. This is especially true in the case of the guy who thought flying a Phantom over the White House was okay to do. What if I don’t register my drone with the FAA? If you do not register your drone with the FAA, and it meets the size and weight requirement of a drone that must be registered, that’s asking for trouble. Those who fail to register face civil penalties that could cost them up to $27,500 in fines. You could also face criminal penalties, which will add an additional $250,000 in fines. You may also face up to 3 years in prison, as well. Special training to fly a drone is not required if you’re flying it for fun, as a general hobby, etc. 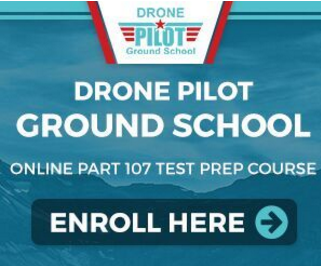 While having flight training for an unmanned aircraft may help you to control it better, formal training for flying a recreational drone is by no means necessary. Through our search to find the best drones under 300, we found quite a few drones that could definitely make our list. However, we’ve narrowed down the list to the top 10 best drones under $300 to ensure that your decision for which is best for you is easy as possible! 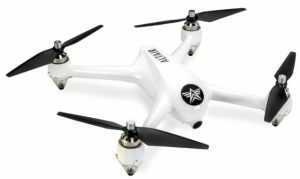 Read reviews and shop for the Outlaw or get fast and free shipping from the Altair Aerial Website. The Outlaw comes with advanced GPS features, great stability, and a high-quality 1080p HD camera, all for only $280 USD. If you’re looking for the best experience available in a drone under $300, we think this is the one that provides the most value for the most people. With a long battery life, great range, and easy-to-use photography features, this is a great drone for beginners. 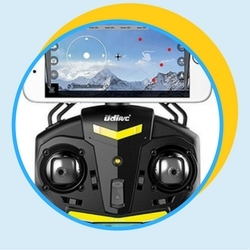 The automatic stabilization in GPS mode and return-to-home feature (in which the drone will fly back to the place it took off from with the push of a single button) also help make it accessible. 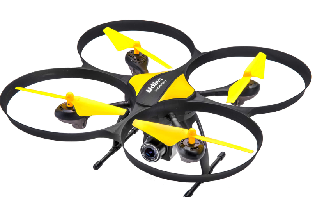 But the quality of the camera and features on offer also make it a great drone for any serious aerial photographers who want something that will take great, stable video at a price that won’t break the bank. 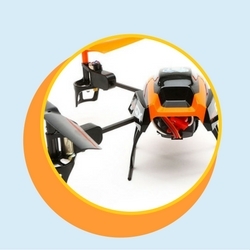 • Has a maximum flight range of 1-1.5 km, and video range of 500+ meters. Click Here to See Best Price! The Altair 818 Plus is one of the best camera drones you can get for under $300. Its shape is designed to make it both stable and durable, with very solid hover capabilities that make it perfect for getting the right shot every time. It comes with a wide-angle 720p camera and a TF card included so that you can start taking video right away. The F100 Ghost by Force1 was no doubt one of the best additions to this list of drones. It costs less than $200 and looks like it’s nothing but a piece of generic plastic. Making that assumption, however, is definitely wrong! For such a cheap price, the capabilities and tech specs that come with it seem like they are much too good to be true. GoPro’s are awesome pieces of hardware, so when they are paired with a compatible drone that has some pretty awesome specs and features, the sky is literally the limit as to what you can do! The F100 by Force1 is much like the F100 Ghost, also by Force1, but it has a lot of differences that make it an individually incredible drone. It costs around $150, so about $50 less than the F100 Ghost, which is an absolute bargain. For such a small price, we know you’ll be surprised to receive a quality drone and not a hunk of plastic that barely makes it off the ground. 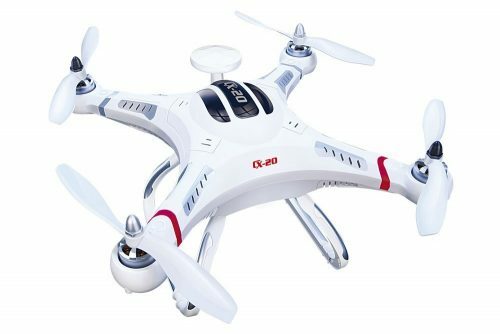 In fact, the F100 is perfect for beginners looking to learn and experts who want a casual, no business drone. For just $150 you can get a high quality drone that has specs that have yet to be matched by any other manufacturer, so what could be better than that? 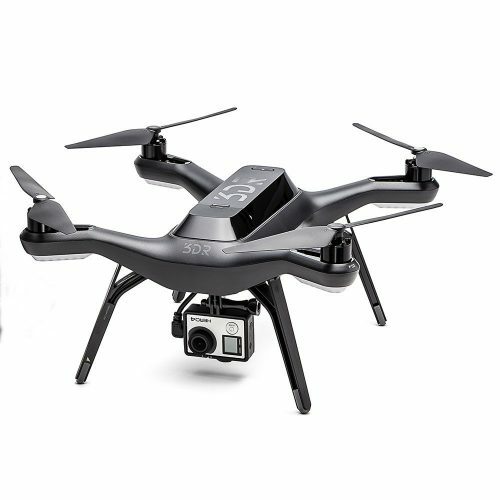 While the Solo by 3DR is slightly over $300, it’s still perfect for this price range. 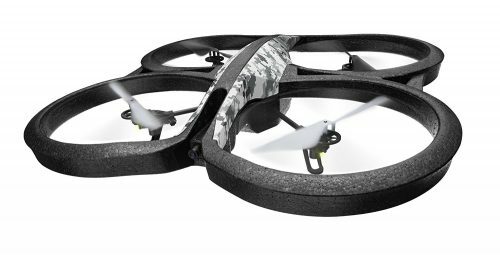 It may not look like a starter or beginner drone at first glance, but if you’re someone who loves to play video games, you’ll have absolutely no trouble at all with this one. The controller is a lot like a video game console controller that includes push-button commands for ease of use. This makes it great for those who already have a general understanding of video games and want to transition to a drone. Though the 3DR Solo is a bit over our $300 budget, it’s definitely worth a spot in our review. 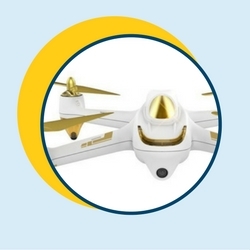 You simply cannot beat the quality and the awesome features that this drone has to offer! 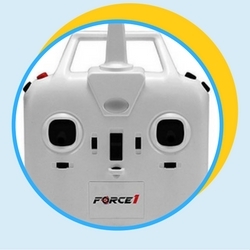 The U45W Blue Jay by Force1 is currently sitting at a price range of $130, but don’t let that affect your decision, because this drone is an absolute power house. 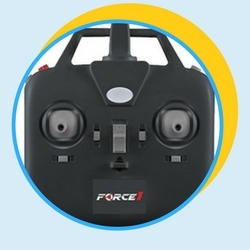 It comes with almost everything that you’d never expect to see in a drone this cheap. If you’re looking for a drone that is both under $300 and easy to carry around from place to place, then the Cheerson CX20 is right up your alley. It’s fully ready to fly as soon as you take it out of the box. All you have to do is attach the propellers and ensure your batteries are charged and ready to go. 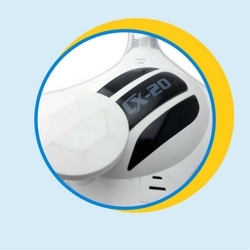 For the small price you’re paying, the CX20 has quite an impressive performance and is sure to be a big hit. It’s great for any level of skill, whether you’re a beginner or a pro. 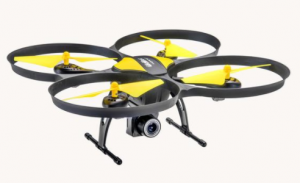 Once again, the Cheerson CX20 is a surprisingly impressive drone for the price tag. It proves that even though some drones could be considered a budget model, it doesn’t mean they can’t have some serious specs. Costing approximately $150, the UDI U818A by Force1 has a lot to offer for a pilot of any skill level. It has some awesome features, great camera specs, and so much more that all drone pilots, no matter what your preference may be, will definitely enjoy. Parrot is a manufacturer that all drone enthusiasts know and love. Though the majority of their drones definitely are not budget drones, the Parrot AR 2.0 Elite most definitely is. This is one of many drones under $300 that includes high-quality features and specs at a price that is practically a steal. The Parrot AR 2.0 Elite Quadcopter is great for those who have a smart device and can adapt to using it as a controller. It may be difficult starting out, but with these specs and the price, how can you say no? The Blade 180 QX may look like it’s a cheap piece of plastic with propellers, but this drone is anything but. It’s one of the lightest, cheapest high-quality drones under 300 that is literally a powerhouse in disguise. Would you believe that it’s one of the best drones under 300 dollars that has some pretty good quality camera capabilities? The Blade 180 QX Quadcopter definitely has to be one of the most overlooked, hidden gem drones out there. It’s got great specs for an even better price tag. Like Parrot, Hubsan is another prime example of a drone manufacturer that almost everyone knows and loves. We’ve saved possibly the best drone under $300 for last and we know that you’re going to love this one. Not only does this drone have some very impressive features and specs that make it a definite choice for our review, but it’s got a stylish, sleek look that’s very easy on the eyes. The H501S X4 Quadcopter by Hubsan is definitely an awesome little drone for the price you’re paying. If you’re a fan of aesthetic value in a drone, this one is definitely the droid you’re looking for. Though a lot of drones may seem way out of your budget range, there are still tons that are both reasonably priced and great quality, as we’ve just proved! New to drones, but hooked. 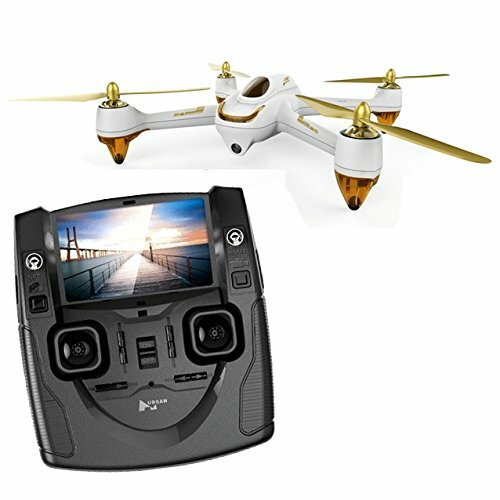 With these drones which come without a camera but recommend a GoPro, can you use a GoPro clone? Thanks.